Where did the books that have shaped you come from? I suspect your experience is similar. Remember how each of those impactful books came into your life. Probably someone recommended them. Maybe they handed a copy with some encouraging words, or maybe, someone posted a picture of a book with an intriguing title, or you found your way to a review on Amazon. 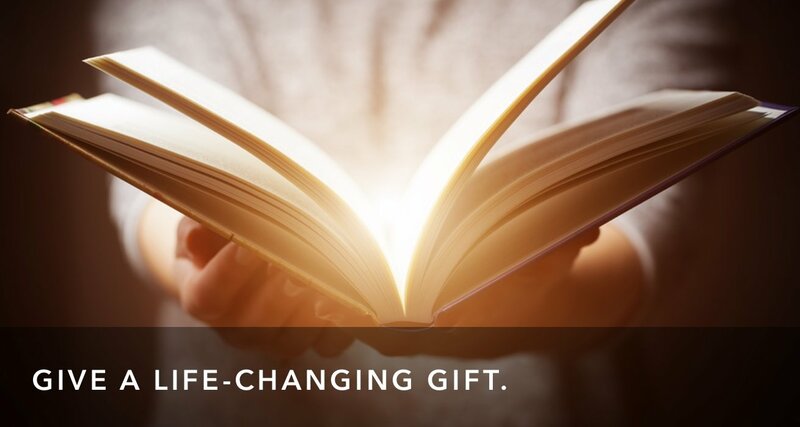 In a few sentences, a stranger helped you find a life-impacting book. Now–maybe years later–the ideas between those covers are woven into your life. But that might never have happened if someone hadn’t shared that book with you. Book Recommendations are a Gift. There are oodles of reasons book recommendations and reviews matter. There are more books than anyone has time to read. A personal recommendation or review by someone we trust can cut through the noise. When you recommend a book you’re helping that author reach someone they likely would never encounter otherwise. Word-of-mouth recommendations are powerful. Increasingly, so are Amazon reviews. Amazon.com is one of the most important search engines on the internet. 55% of shoppers begin their journey of learning about and selecting a product at Amazon. For books, this number is undoubtedly much higher. And how do people learn about books on Amazon? Reviews. Your review on Amazon, even if it’s short, boosts that book in other people’s searches. Your words help people decide if an unknown book is a worthwhile risk their time and money. But there is a reason your recommendation matters above all these other things. There are people out there whose lives might be changed because they read the book you are holding. The books on my shelves represent professors and pastors, friends, co-workers, and family members who cared about me enough to invite me into an experience of a new book. Some of these books are now integral strands in the fabric of my life. A couple of them were truly saving. 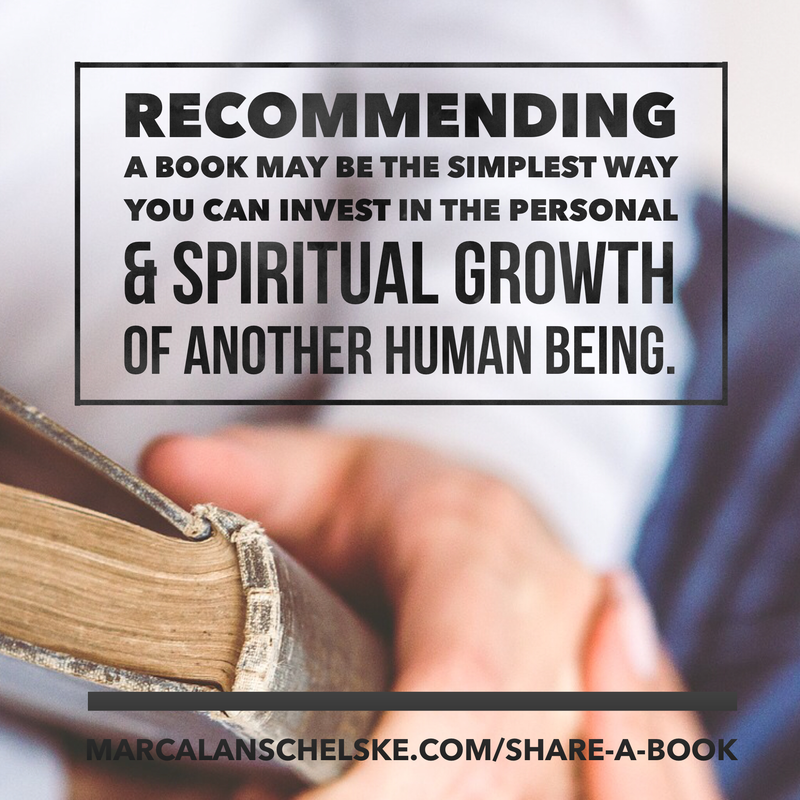 I think it’s not exaggerating to make this claim: Recommending a book may be the simplest way you can invest in the personal and spiritual growth of another human being. All you do is share what has impacted you. So, this is all about Marc’s book, right? As you know my new book, The Wisdom of Your Heart, released the 1st of September. So, of course, I have a no-so-hidden agenda in this post. I wrote this book because I want to help people find healing and growth, but I’m an unknown author with a small network. If people somewhere out there are going to be served by TWOYH, it’s because others like you recommend it. Oh, and if you’re thinking that this post is all about the money, let me ease your burden. Unless TWOYH becomes a blockbuster hit, I’ve already seen all the money I will ever see from this book. 75% of books published today never “earn out” their advance, which means the authors never get another royalty beyond whatever initial advance they were paid. While I certainly hope this book sells by the truckload, statistically it’s much more likely to be in that larger group. So, yea… I want you to recommend and review my book. But I want you to do that because I am certain there is someone out there who needs what is in these pages, and without your referral, they may not find it. So, instead, I’m offering you this encouragement. Your thoughtful recommendation or review on Amazon has the power to be life-changing. So, what can you do? Pick one or more of the following, and do it. Right now. Or this week. And if you don’t want to do it for my book, do it for any book that has meant something to you. Your recommendation could change a life! 1. Think of one person in your life that TWOYH would be good for (or whatever book you want to recommend.) Then call them up and tell them. No biggie. Something simple. “I just read this amazing book. Here’s how it impacted me. I thought of you, and thought you might enjoy it.” Do it on the phone. Or do it in an email. Or do it in a private Facebook message. Whatever. Just do it. 2. Head over to Amazon.com and write a brief, honest review of the book. Tell the truth. An honest review that talks about both the high points and the flaws of the book is worth its weight in gold. If you’re a friend or relative of the author, don’t say so in the review. Amazon will delete those. If you received an advanced copy of the book to read, Amazon and the FTC require that you disclose that in the review. You need to say something like, “I was given an advanced copy of this book to read, but I was not required to write a review, and these are my honest thoughts.” Your own words.. but those ideas. 3. If you write online—whether blogging, or long FB posts, or whatever—write a personal reflection on the book. How did it speak to you? Why did it connect? How is your life different having read it? And then share that with someone. Share it with your FB friends, or on your blog, or just email it to your family. Whatever seems natural and comfortable for you. 4. Leave a review in whatever other places you frequent online. Are you on Goodreads? Then go over there and rate and review the book. Prefer Barnes & Noble, then write a review there. Christianbooks.com? Then write a review there. 5. Are you a pastor or do you know a pastor? Pastors are in a unique position to influence what people read. If you are a pastor, and you would very honestly consider using TWOYH in your small group program or a discipleship program, then I will personally send you a copy to review. (Offer limited by my budget.) Interested? Then email me your name, church name, snail mail address, and email address. Again, if you don’t want or aren’t ready to recommend TWOYH, by all means, go and recommend another book you love. Your recommendation is a gift to the author and could be a life-changing blessing to the reader. What book was recommended to you that deeply impacted your life?